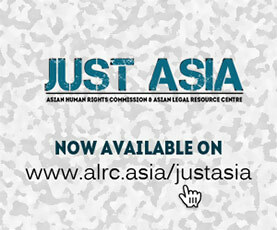 The Asian Legal Resources Centre (ALRC) has on numerous previous occasions alerted the Human Rights Council (HRC) of the large numbers of missing persons in Pakistan. The country is continuously beset by widespread, grave human rights violations perpetrated by the various State-agencies and institutions, notably more so by the infamous Inter-Services Intelligence (ISI) and the military. Hundreds of students are reported missing as the result of enforced disappearances taking place across the country – particularly in the conflict – affected areas, mainly in places such as the Balochistan province. In a recent incident of enforced disappearance by these state agencies, a student leader from the Balochistan province, Mr. Zahid Baloch, the chairman of the Baloch Students Organisation Azad (BSO-A) was arrested at a meeting of the students in the suburbs of Quetta city, the capital of Balochistan province, on 18th March 2014. According to reports he had been arrested by persons in plain clothes who have identified themselves as members of the ISI. They were accompanied by personnel in uniform of Frontier Corp. To date the whereabouts of Mr Baloch is unknown. It is a common occurrence that in the instances of such an enforced disappearance the detainee would undergo severe torture and ill treatment at the hands of his captors and may even be extra judicially executed during detention. Prior to his arrest, Mr. Baloch revealed to reporters at the British Broadcasting Corporation – the BBC that he foresees and imminent threat of his arrest and perhaps even extra judicial killing and that he feared for his life , as was done to so many of his fellow Baloch residents and activists. In yet another incident, Mr. Zakir Majeed also a student leader was abducted allegedly by state intelligence agents on 8 June 2009 from Balochistan province and till now, his whereabouts are also unknown. Following several inquiries made by way of letters by the UN Working Group on Involuntary disappearance and by the Special Rapporteur on Disappearances on the Mr. Majeed’s disappearance, on 22 January in 2010, the National Crisis Management Cell (NCMC) announced his release. The Home Secretary later confirmed that Mr. Zakir Majeed had been in fact released on 22 of January 2010, as per the NCMC’s list published on its website. Further in another incident, Ms. Karima Baloch, a 23 year of post graduate student was sentenced to three years imprisonment and fined a sum of Rs. 150,000 (US$ 1,875) after Ms. Karima and several other women staged a demonstrated against disappearances in August 2006. According to available statistics, more than a dozen students from the Sindh province in Pakistan have been arrested, made to forcibly disappear and killed, extra judicially. These students who belong to nationalist groups are and remain the main targets of state intelligence agencies. Court cases against such disappearances are pending in higher courts particularly, in the Supreme Court but the adjudication process has been deliberately slow. The courts have failed to have any effect to neither halt nor prevent any law enforcement agency in Pakistan or armed groups from killing innocent civilians in this manner. The higher judiciary has still not shown any courage or willingness to call neither the army nor its intelligence agencies to appear before the court and to conduct credible investigations, and carry out inquiries of all complaints made by the family members of the disappeared most of whom have often openly accused the Frontier Corps and the military intelligence agencies for these abductions and killings. The UN Human Rights Council must take urgent action to ensure the safe recovery of the missing students from Balochistan and Sindh provinces who were arrested by the state intelligence agencies. The Council must make appropriate interventions and pursue the government of Pakistan to end enforced disappearances and extra judicial killings from Balochistan and Sindh provinces, for good.